PYONGYANG, North Korea (AP) — Reunification Highway runs all the way from the North Korean capital of Pyongyang to the Demilitarized Zone that divides the North from South Korea, 170 kilometers (100 miles) away. 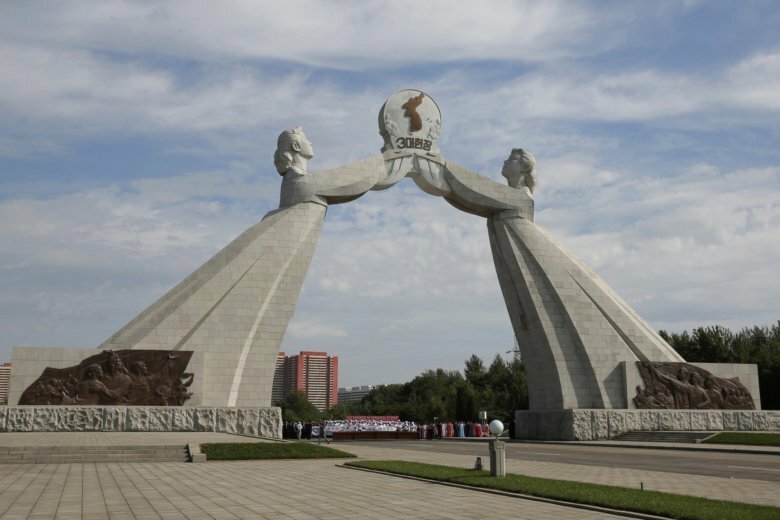 It starts under a giant concrete arch depicting two women in traditional gowns reaching out to each other and holding up a map of a unified Korea. Road signs along the way show the distance to Seoul, though it’s impossible to actually drive there. The U.S.-led United Nations Command, which monitors activity around the DMZ, blocked plans for the North and South to conduct a field study of the North’s railroads last month. The plan was to run a train along a railway linking Seoul to Sinuiju. Officials in Washington have also expressed concern that Seoul may be moving too fast and undermining support for trade sanctions that the U.S. sees as one of its best means of keeping the pressure on Pyongyang high. The Trump administration says it will keep its “maximum pressure” policy and sanctions in place until the North demonstrates it is serious about denuclearization.